Samuel Hawley’s criminal past is about to catch up with him in an explosive way, for the second time. As a young man, Hawley made his living working shady jobs and has the bullet wounds to prove it. After the death of his wife, Hawley gave up that life to raise their daughter, Loo. They spent many years crisscrossing the country but have recently settled in Loo’s mother’s hometown. Settling down like this allows Loo to grow up but also uncovers difficult truths. 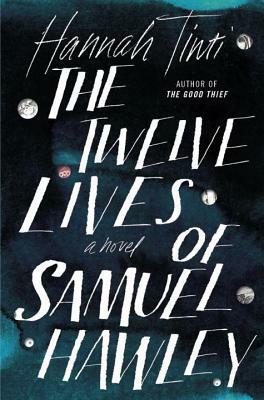 Alternating between the past and present, The Twelve Lives of Samuel Hawley is an artfully crafted book that must be read this instant!